Be aware that all tenants have certain rights. The landlord is required to carry out repairs the property and act immediately if the boiler breaks down for example. 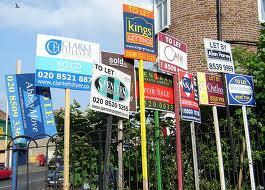 However around 70% of tenants actually arrange and pay for any repairs themselves rather than asking their landlord! It is estimated that as many as 60% of tenants who do ask their landlord to make repairs are met with an obstructive or indifferent attitude. Tenants cannot be forced out during the first six months of the tenancy agreement and both sides must give two months notice before ending the tenancy. However, if you have broken the agreement (by not paying rent for example) the notice can be as little as 14 days. Do not sign any contract until obvious problems have been rectified and sorted out, such as anything not working, or a leaking pipe or damp patches. Read the tenancy agreement very carefully and ask about anything that you are unclear about before signing it. If you have a fixed-term tenancy agreement, the rent can only be increased if you agree! In all cases, if you think a rent increase is unfair, you can appeal to a rent assessment committee. It is often better to have a long agreement with 12 months being a minimum. Be flexible. In a recent survey by mortgage broker London and Country, 86% of landlords said they would not increase rent for a good tenant. Make sure that the landlord is reputable and right for you by asking for things like energy performance certificates and proof of the Gas Safety Inspection. If you are satisfied, ask the landlord which deposit protection scheme is used. This ensures you get your deposit repaid at the end of the tenancy, less the cost of any damage you may have caused and any rent you owe. General wear and tear is usually acceptable but broken fixtures and fittings and stains and burns to carpets and furniture won’t be. All tenants should get protection for their personal belongings with a good tenant’s Contents Insurance policy. You do not need Buildings Insurance, as this is the landlord’s responsibility. Use a comparison website to compare the policy cover and premiums. Ask the landlord for details of the electricity and gas suppliers and tariffs and as soon as you move in give them the meter reading. It may be a good idea to ask the suppliers about previous energy usage and bills. Find out who the water supplier is and whether the property is on a water meter. Ask about the full cost of living in the property, what is included in the rent and what other facilities are extra, such as parking. Ask the landlord about changing the locks, that way you will know you are the only person with a key. Agree to go through an inventory with the landlord or the letting agent so everyone is clear on exactly what is in the property at the outset. This will save any misunderstandings when you come to move out and will help you to get your deposit back. Make a note of any and all damage to fixtures, fittings and decorations, so you won’t be charged for existing damage at the end of your tenancy. Once you have moved in, if you find a problem you should report it to the landlord or letting agent as soon as possible. This is one of the few benefits of renting over home ownership – any maintenance issues are not your responsibility, so you should not have to suffer leaking roofs, or a faulty boiler. For more advice and details of tenants rights check out shelter.org and this pdf download. This entry was posted in Letting and renting and tagged letting, renting, tenant. Bookmark the permalink.